20 YEARS EXPERIENCE - We’re committed to providing competitive prices, advanced technology and a professional service for all types of traders. TRUST & SECURITY - LCG is publicly listed on the London Stock Exchange and authorised and regulated by the Financial Conduct Authority (FCA). PRODUCT OFFERING - LCG offers access to over 5,000 markets as well as competitive prices across forex, indices, shares and commodities. 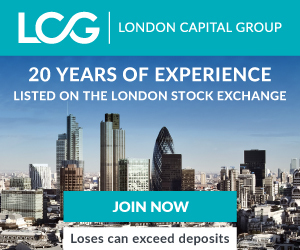 To put your LCG trading account under our IB group you need to send an email to customerservices@lcg.com. Find below the sample of the email. Please place my account no. : ............... (put your account number with LCG) under IB 5003159 (Financial Trading Art). *The Rebates are calculated for one round turn lot (100,000 units) for Currencies, (100 oz) for Gold, (5,000 oz) for Silver, (100 bar) for Oil, (one contract) for Equity Index CFDs, and (one share) for Equity CFDs.